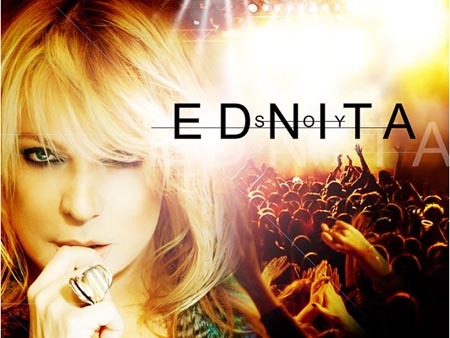 Fresh off the release of her newest album, “Soy”, Puerto Rican singer-songwriter Ednita Nazario is set to perform at the UCF Arena on Saturday, August 28 at 9 p.m.
Tickets priced at $35, $65, and $95 are on sale now exclusively through Ticketmaster by calling 1-800-745-3000, visiting www.Ticketmaster.com, or at the UCF Arena Box Office. Tickets will also be available at select Bravo supermarkets. Additional taxes and fees may apply. Known for her vocal depth and performance ability, Nazario began her recording career at age seven and has grown into one of the most known and respected artists in the Latin music industry. Nazario has been honored with countless awards and recognitions, including nominations at the Billboard Latin Music Awards for Latin Pop Album of the Year-Female (2008) and Top Latin Album of the Year-Female (2009). She has also been awarded stars onthe Miami and Panama “Walks of Fame”. The Global Spectrum-managed UCF Arena is home to the UCF Men’s and Women’s basketball programs, as well as concerts, family shows, and other attractions for the Central Florida area. More information can be found by visiting www.UCFarena.com.